Sometimes you just don’t want to use your PC in the room that it’s in. Perhaps you want to play outside in the garden on a laptop, or maybe you’ve got a game that’s perfect for the TV in your living room. Rather than buying another gaming rig to put in a different room, you can stream your games from your main PC to any other computer in the house. How? Let us be your guide. For more guides, tips and tricks, head over to our Steam FAQ. 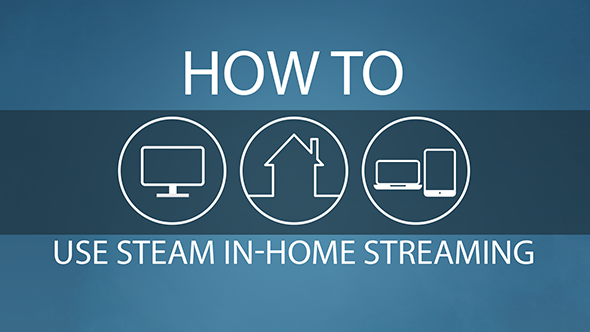 Steam in-home streaming is incredibly simple to set up. All you need to do is log into Steam on two computers on the same network. On both PCs you’ll need to enable in-home streaming. To do this, click the Steam menu in the top left corner of the desktop client, then click Settings. In this window click In-Home Streaming, and tick the enable streaming box. The In-Home Streaming tab also has some advanced host options if you need to make specific changes, but typically the default settings should be fine. There are also options for the client PC (the one which receives the streaming data), so you can toggle the performance between fast, balanced, and beautiful. If your network is a bit slow, ‘fast’ is your best option, but the image will be streamed at a lower resolution. If you are using a Steam Link, the UI on the Link guides you through setup. As long as your main PC has streaming enabled, the Steam Link should be able to automatically find your computer on the network. Simply select that PC from the Link’s home screen, and it’ll launch your games library in Big Picture Mode. It’s worth noting that streaming games between PCs is a very data-intensive task, and in many cases wireless networks won’t be able to cope. If you’re thinking of using In-Home Streaming, it is probably a good idea to hardwire your PCs and router with ethernet cables or homeplugs. With Steam In-Home Streaming set up, you’re now ready to play on any PC in your house, even if they’re not as powerful as your gaming rig. Magic!